I am so excited for tonight! We are going to be making the coolest thing! 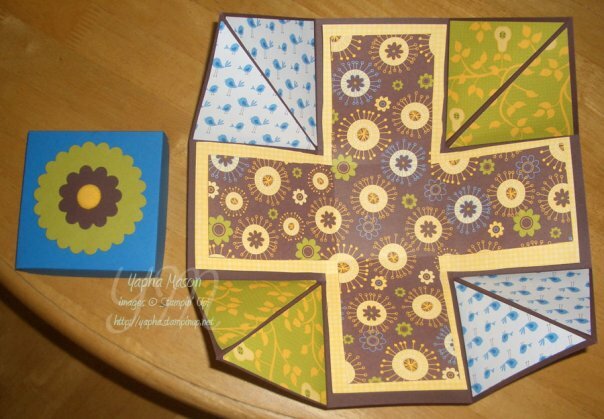 It is a scrapbook that folds up into a box. It is also known as an explosion box. And it is a Mother’s Day present for my mom. (So, Mom, if you are reading this, DON’T LOOK!) I saw this on the brilliant and creative Amy Bell’s blog. She was kind enough to include directions as well, so I won’t repeat them here. But I do have them typed up into a Word document, so if you would like me to email them to you, just let me know. This is the box opened up. 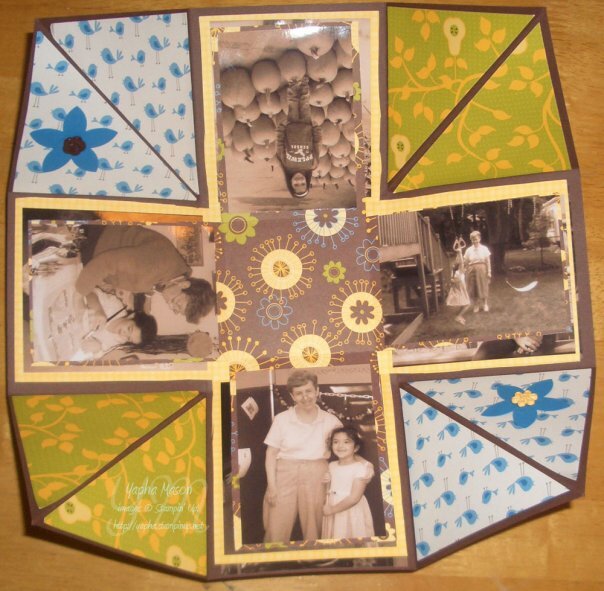 Each of the flaps in the center lift up, and you can add photos or other embellishments. Here is the finished box, open. I printed all of my pictures in sepia, so they would better match the chocolate chip in the box. (Thanks for the great idea, Sandi!) I added a few embellishments, but not too many because I didn’t want to overshadow the pictures. I included 12 pictures, just on the front of each flap. You could easily put in 24 by using both sides. 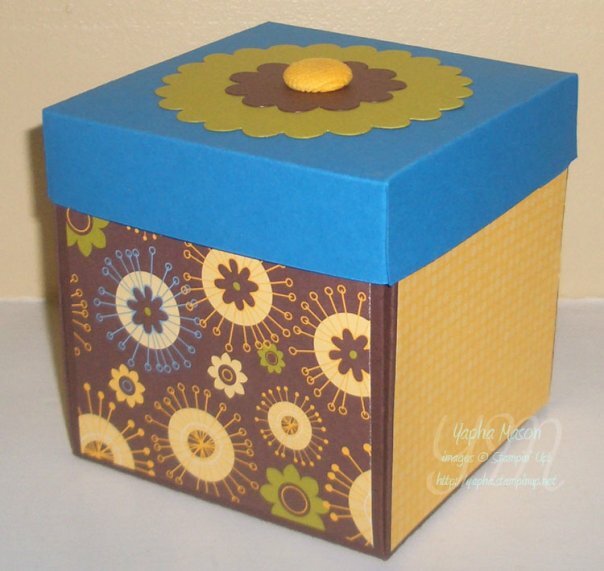 It is a great box, and makes a fabulous gift for any occasion! This is awesome Yapha! I’d ♥ the instructions. Gee, maybe I should have signed up for your class, huh? It looks great, Yapha! Love the sepia-toned pics!